Many businesses around the world rely on payroll software to pay their employees. Australia is not unique in this regard. The Australian payroll system can be complex depending on the industry that you work in. The number of employees can also affect the flexibility of the system used. Australian payroll software needs to also consider various employee requirements that affects their employees. Some of these considerations are Child Support, Flexi-Pay, Salary Sacrifice, PPL and more. It’s important for businesses to understand the complexities involved to ensure they pay staff accordingly. There are also changes the Australian Government makes on the business sector to ensure the citizens are correctly paid for their work. Over the past two years, Single Touch Payroll (STP) has been introduced to improve payroll reporting to the Australian Taxation Office. Paying employees incorrectly or on the wrong award can result in business bankruptcy and criminal charges. It’s serious business. 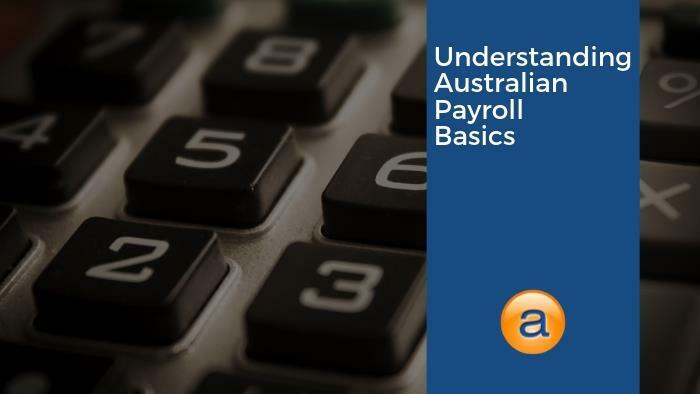 In this article, we’re going to cover some of the basic Australian payroll terms to help you become more familiar with them. Accentis Enterprise payroll is only one module of our ERP software, but critically important for businesses to be aware of. The Australian Taxation Office, known in business as the ATO, is a revenue collection agency as part of the Australian Government. The ATO introduced one of the latest large-scale changes to Australian payroll through STP. The ATO is also responsible for many taxation and superannuation support systems for all Australians. Every business in Australia will have to at some point, understand how to run their business alongside the ATO’s requirements. Payroll taxes are paid based on the state or territory that your business or its employees, do the work in. Some areas of administrative payroll tax have been agreed upon by states and territories to be consistent. Largely however, each individual state and territory are responsible for administering their own regulations. Payroll tax is assessed by each business on income paid or payable by an employer to its employees. This assessment and its relevant tax values are when the wages of a business reach a specified threshold. Income to an employee can be wages and salaries for hours worked, commission on sales made, any bonuses to the employee at the employer’s discretion or allowances. Businesses in Australia are responsible for the correct application of tax rates based on awards, hours and more. Accentis Enterprise updates all tax rates within the software for free when they are released. Australian payroll tax is paid by the employer on behalf of the employee, by withholding part of the employee’s wages after each pay period based on the issued tax rates. At the end of the financial year, employees are able to claim tax back from the ATO if they did not meet an expected threshold, or they will need to pay more tax in cases where they did not have enough withheld. The employer is also responsible for deductions based on employment needs. These can include child-support, salary sacrifice and any fringe benefit taxes. A payroll pay period is a period of time in which employees are paid regularly while working for the business. Employees are able to be paid in a weekly, fortnightly or monthly basis and is usually paid electronically into bank accounts of the employees. Businesses are free to decide which pay period is most suitable for the position the employee holds. The employment type may also dictate which pay period is allocated to individual staff. For example, casual employees may be paid weekly for the hours they have worked. Full-time employees will be paid a monthly as they are on salary. Australian payroll software needs to be able to account for these variables. When paying payroll tax in Australia, it’s referred to as a Pay As You Go (PAYG). It’s this PAYG system that allows for the withholding of tax from the employee being paid to the ATO. Australian payroll tax is calculated on scale based on hours worked and the income generated over that period. Each state and territory have different rates and as an employer, you are responsible for understanding how it affects your business. When a person is employed in more than one business, they may be liable to pay a higher rate of tax on their second income. This is dependant on the value of the income and the reporting of the wages to the taxation department. Payments in cash are still taxable and must be reported to the ATO. When paid in cash, the responsibility of paying the income tax is generally up to the employee. If the employee reports on this tax and the business does not, the ATO may audit the business to ensure they are fulfilling their legal requirements. Australia’s national workplace relations system is governed by the Fair Work Act 2009. The Fair Work system is a set of laws that govern the minimum employment standards nationally. The Fair Work system will offer employees, generally in the public sector, protection and minimum wages. Each state or territory can further transcribe how these laws apply within their state. For instance, in most states, State government and local government employees have a registered agreement in place. The Fair Work system will help employees understand the what hours they can work, maximum number of hours they can work and how they get paid. It will also advise on correct pay rates, working conditions, holidays, parental and carer leave, and flexible working conditions. An employee has every right to contact the Fair Work Ombudsman to find information relating to their circumstances. The Ombudsman may act on the employee’s behalf or in some instances, help to change laws that affect the entire workforce. Neglecting to pay staff or using something other than Australian payroll software may incur fines for the business. It is the responsibility of employers to maintain adequate Workers Compensation Insurance under Work Health and Safety (WHS) laws. This is to support the worker in the event of a work-related accident or illness. Workers compensation insurance is designed to protect employers and employees from financial hardship when there has been a workplace accident. It is an understanding by employees that their employer will have insurance when they start their employment. Like any insurance product, premiums are based on factors dependant of the business taking out the policy. This can include previous claims made on the company behalf and the industry the company trades in. Superannuation, or Super is how Australian workers grow their retirement and pension values for the future. Employers are legally required to make payments on the employee’s behalf to a nominated superannuation account. Superannuation is paid to the employee’s account before tax is taken from wages. There is a minimum amount required to be paid, which is a percentage of the wage received. The current rate of Super in Australia is 9.5%. Individual employees can make additional payments to their superannuation accounts, as can employers pay more than the guaranteed amount. Fringe benefits are non-cash benefits for the employee during their employment. It can be for items such as private health insurance, company car, loan or other item allowing the employee to do their job. Employers will need to pay Fringe Benefits Tax (FBT) to the ATO. Fringe benefits are a way of attracting employees to work for the business. Businesses will need to register for FBT before they can start offering benefits to employees. Fringe benefits are entirely legal and are common as a form of reimbursement to employees from a business. Understanding Australian Payroll basics can help your business succeed, and ensure you’re following all legal requirements. Accentis Enterprise has a strong feature-packed Payroll and HR management solution to help your business with every aspect in your business, and it’s developed right here in Australia. Our software is an accredited Single Touch Payroll (STP) solution that is suitable for all small to medium-sized businesses. More than just payroll and HR, we offer other modules that help to manage your entire business in a single software solution. Other modules that assist with Payroll and Hr are Job Costing, Work Orders and Time and Attendance. Data is seamlessly shared in the database almost instantly so you can run more than 600 standard reports and analysis of your business. Are you having trouble with a payroll question in your business? Contact us to get the answer!